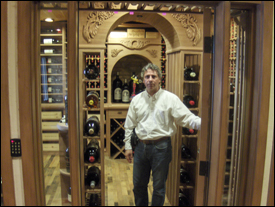 Paul LaRussa, “The Sommelier Of Wine Cellar Design . . .” Founder & Chief Designer of Premier Cru Wine Cellars, speaks “live on-the-air” on Wine Life Radio with Keith Miller & Kimberly Faye. – Wine Life Radio, Keith and Kimberly welcome Paul LaRussa to the show. Thank you and Happy Father’s Day! Thank you for being here with me . Yes, we’re both here, maybe at different times perhaps, but exactly right here – right in front of this page – it’s so wonderful! Listen-in to a recent interview I did on Wine Life Radio with show hosts Keith Miller and Kimberly Faye! 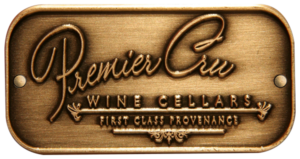 At Premier Cru Wine Cellars – we focus on providing the Wine Connoisseur, Collector, Enthusiast – or just plain Wine Lover – with a wine cellar that compliments their wine collection and fits-in beautifully with their home. CONSULTATION: It’s said that, “Quality doesn’t cost – it pays.” And, before you spend a cent on beginning your custom wine cellar, be sure you’re starting off on the right foot with a consultation from Premier Cru Wine Cellars & specifically designed by Paul LaRussa, the “Sommelier of Cellar Design”. 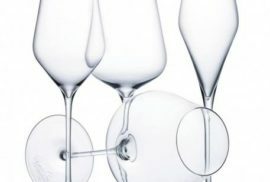 Then, carry through with the best plan, wine rack design, and equipment. We’ll help to review all of your options before you begin so, when you start, you know you’ve had all of the options to consider and eliminated ill-fated ideas . 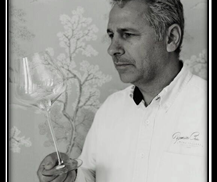 . . We’ll help you to realize a comprehensive vision for your custom wine cellar that can be executed with confidence. DESIGN: A good wine cellar design is one that blends the wine collection it’s housing, with the personality of the collector and the aesthetics of the home. Putting all of the elements in proper context is an art-form in-of-itself. We listen to what you want and integrate what we hear with what we know about proper cellaring and tasteful design. The end result is a unique, artistic, and beautifully designed custom wine cellar for you to enjoy for decades to come. BUILD: As an artistic design-build firm we enjoy seeing the wonderful things that come out of a persons love for wine, like having a high-quality custom wine cellar built with all of the attributes our clients dream of. Wine racks, thoughtfully designed, are built custom to fit right into place. Having served the construction industry since 1978 and holding a California State B-01 General Contractors License we’re ready to fulfill your vision and bring your dreams of a high-quality custom wine cellar into reality. INSTALLATION: Installation of your custom wine cellar is a multi-step and multi-faceted process, conducted in a timely and measured pace so that each step of-the-way is synchronized. We install all of the elements of a wine cellar that we provide. Providing a comprehensive construction process that works with your lifestyle and your busy schedule.